The good news is that the van's insurance company paid for repairs and a rental (V36 Nissan Skyline sedan, which we used like a van to haul things around!) 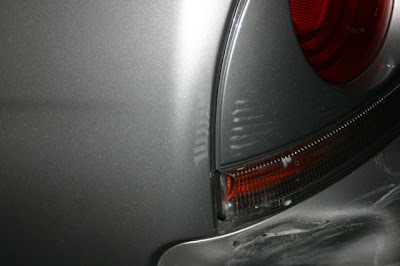 Repair-wise, I got a new bumper which was repainted, and a new left rear tail light cluster. They also went ahead and repainted the front bumper, so the car is actually looking pretty good, although I found a few flaws that they have promised to fix (they did not repair the tip of the rear wing). Will post new pics soon of the repair, once everything is fixed!